I’m calling this week’s menu my bikini ready meal plan. I’ve seen some great results by following the Transform :20 workouts and eating plan. Now it’s time to drop the extra water weight covering those muscles before hitting the beach next week. We may have completed Transform :20 but we’re not quite done with the workouts yet. I’ve come up with a Pre-Vacation Workout schedule using the bonus Transform :20 workouts. You can access it in my Resource Library. Subscribe below for the password. The workouts can be swapped out with those on the regular schedule or added on. Another way we’re getting ready for our vacation to Cabo is by following a high protein & veggie, low carb meal plan. We’ve done this many times before a beach vacation and it really does work. This time around we’re following the 21 Day Fix Extreme Countdown to Competition Eating Plan. The 21 Day Fix Countdown to Competition eating plan is basically carb cycling from what I understand carb cycling to be. You have two low carb days followed by one regular eating day. To tell you the truth I really struggle on those low carb days and eating all that protein is sometimes just too much for me. I’ve found meal prepping really helps keep me on track. The weekly menu is a word doc so you can download and make changes to suit your needs. Just click on the image below to download, edit and print. 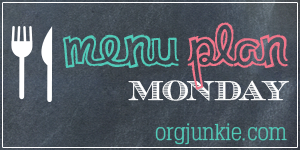 I’ve included the regular menu format and the Container Count Meal Plan Template.